Bolivia is one of the cheapest countries to travel around in South America, yet it boasts colonial cities, steamy Amazonian rainforest, Inca culture, huge deserts and grasslands, and fantastic wildlife – making it a very attractive destination for backpackers on a meagre budget. A typical trip might begin in Copacabana and Lake Titicaca, on the border with Peru, then move on to La Paz – and perhaps include visits to the cool colonial city of Sucre; the historic mining city of Potosi; Rurrenabaque and Madidi National Park; and Uyuni salt flats – while more adventurous travellers may head for Yungas Road, one of the most dangerous roads in the world, which attracts thousands of cyclists and adrenalin junkies every year. Northeast of Lake Titicaca, this rather inaccessible and little-known mountain range offers some fantastic trekking. 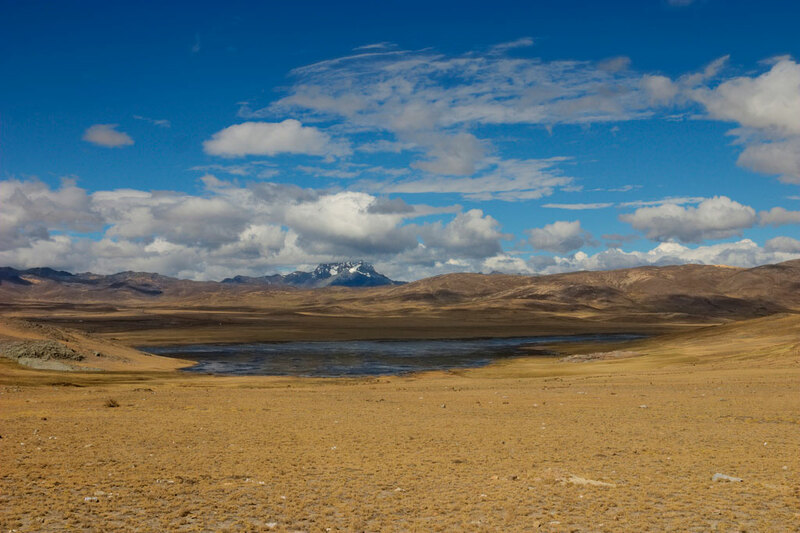 It can be reached by crossing Ulla Ulla National Park, home to the Andean Condor, alpacas and vicuñas. The mountains are the territory of the Kallawaya ethnic group, famed for their indigenous healing traditions and knowledge of hundreds of herbs. Trekking involves high altitudes, so you need to be physically fit – but the rewards make it well worthwhile. You probably won’t find a vast amount of information in guide books about this town in the south eastern part of La Paz, but it is starting to get word-of-mouth recommendations amongst travellers – and with good reason. Nestled into a forested valley of eucalyptus trees and crystal clear rivers, and surrounded by the peaks of the Andes, Quime makes an excellent base for exploring or climbing in the Cordillera de Quimsa Cruz mountains. You have to travel along rough gravel roads and riverbeds to reach this rugged national park from Cochabamba, which can take a full day in dry season and can be impossible during rainy season. You’re rewarded, however, with an interesting karst terrain of caves, stalactites and stalagmites; calcitic deposits containing fossils and dinosaur footprints; and the lush tropical beauty of the Waca Senq’a Canyon, with its waterfalls and plunging pools. This relaxed little city enjoys a balmy Mediterranean climate compared with La Paz in the much harsher Altiplano, making it a pleasant spot to spend a few days. It’s becoming increasingly popular with travellers, particularly for its nightlife – and the main plaza is surrounded by local restaurants, internet cafés and shops selling souvenirs. At the same time, it still retains its original charm and makes a good base for exploring the area’s wineries. When you’re planning your route and predicting transport costs bear in mind that long road trips can be slow and back-breaking because of the poor quality roads – but on the other hand internal flights can be expensive. And, finally, don’t leave home without taking out a suitable travel insurance policy such as those available from InsureandGo.co.uk travel insurance or another reputable company – so you can leave home safe in the knowledge that you’re fully covered for all your travel gear and all the activities you’re planning to enjoy. My next travel destination is south america and I will definitively have Bolivia on my list of countries to visit. This article has made me even more keen and I am very much looking forward to planning this trip with a bit of help from this article!